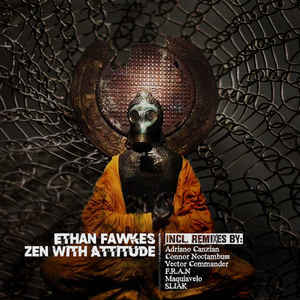 Background/Info: “Zen With Attitude” is one of the numerous EP’s Ethan Fawkes released during the second half of 2017. This EP was released on the Argentinian label Survival Alliance. Content: This record features 2 new songs and 7 remixes. 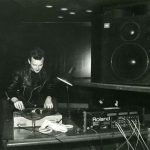 The Belgian producer remains faithful to his familiar sound ingredients, mixing dark-techno vibes with the power of EBM. There however is a part of contrast between the opening B-side cut featuring sweet vocal lines and, which sounds more evasive while the title song is harder and definitely more dancefloor-orientated. “Fear Is At Full Time” was remixed by Connor Noctambus and Maquiavelo while the title track has been remixed by Adriano Canzian, Vector Commander, F.R.A.N. and Sliak (2 remixes). + + + : “Zen With Attitude” reveals the diversity of Ethan Fawkes who however holds on to his traditional influences, but also dares to explore different fields such as the more dreamy “Fear Is At Full Time”. The techno-body track shows Ethan Fawkes at his best. I like his raw and sterile approach carried with brutal and unpolished beats. I also noticed a few cool remixes and especially both remixes by Sliak (who’s totally unknown to me) are great, danceable pieces. The remix by Adriano Canzian is another noticeable cut. – – – : The B-side cut opening the EP is not exactly what I would call a successful cut while both remixes remain pretty uninspired as well. I always have a problem with numerous remixes making the release too repetitive although interesting for DJ’s. Conclusion: The dark-body and techno style of Ethan Fawkes has no longer secrets to me. It’s still enjoyable and revealing a cool title song, but it also becomes a little bit predictable. Best songs: “Zen With Attitude – Adriano Canzian Elektro Punk Attitude Remix”, “Zen With Attitude – Sliak Remix, “Zen With Attitude”.